The Big Somewhere: Essays on James Ellroy’s Noir World will be released in July 2018. Here’s the link to the book’s page on Bloomsbury. You can also buy the book on Amazon.com or Amazon.co.uk. James Ellroy’s identity as a crime writer is rooted in his extraordinary life story and relationship with his home city of Los Angeles. 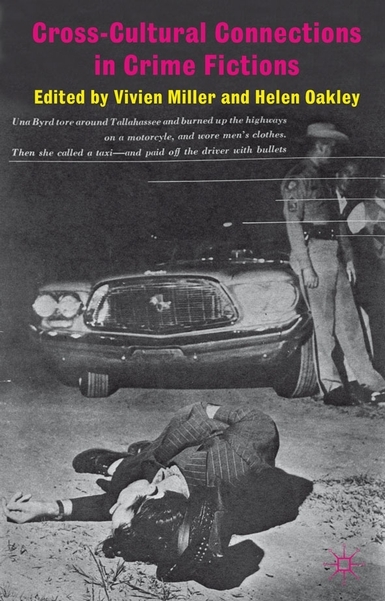 Beginning with the unsolved murder of his mother, Geneva Hilliker Ellroy, in 1958, Ellroy’s early life played a large role in shaping his obsessions with murder, the criminal underworld of L.A. and the redemptive power of the feminine. Ellroy’s life could be seen as a brutal, visceral and emotionally exhausting realisation of the American Dream, a theme he has explored in his writing to the extent that he is credited with reinventing crime fiction. The Big Somewhere: Essays on James Ellroy’s Noir World is an in-depth, scholarly study of the work of James Ellroy, featuring leading Ellroy scholars such as Anna Flügge, Jim Mancall and Rodney Taveira. Moving from Ellroy’s early detective novels to his later epic works of historical fiction, it explores how Ellroy found his place in the history of the genre by building on, and then surpassing, the works of authors who influenced him such as Dashiell Hammett, Raymond Chandler and Joseph Wambaugh. It also examines Ellroy’s impact on contemporary writers and on the cultural perception of L.A., which has been his legacy through the L.A. Quartet novels. The ‘Big Somewhere’ is not a geographical location, but a conglomeration of the cinematic, historical and fictional worlds that influenced Ellroy, from film noir to the Kennedy era in American politics, and on which he, in turn, has left his mark. James Ellroy: Demon Dog of Crime Fiction was released October 2015. Here’s the link to the book’s page on Palgrave Macmillan’s website. You can also buy the book on Amazon.com or Amazon.co.uk. James Ellroy is both an acclaimed crime novelist and enigmatic literary figure. Works such as the LA Quartet and Underworld USA trilogy have become synonymous with his literary style as well as his self-styled Demon Dog of American crime fiction persona. Ellroy’s artistic vision, drawn from stylistic experimentation and the harrowing experiences of his early life, is contradictory and changeful and his influences range from fellow crime writers to classical music. James Ellroy: Demon Dog of Crime Fiction is a study of all Ellroy’s key works, from his debut novel Brown’s Requiem to the epic Underworld USA trilogy. This book traces the development of Ellroy’s writing style and the importance of his Demon Dog persona to American crime fiction. Drawing on extensive interviews and access to unpublished archival material, this book presents the most in depth and comprehensive portrait yet of James Ellroy, the man and author. -Craig McDonald, author of Death in the Face. “He writes in a readable way, wears his learning lightly, and puts his discussions with Ellroy to good use. If you are interested in studying Ellroy, this thoughtful … book will prove a valuable and important resource.” Martin Edwards, Do You Write Under Your Own Name? My book, Conversations with James Ellroy, was released in February 2012. You can find more information about the book at University Press of Mississippi website. Here is the link to buy the book on Amazon.com or Amazon.co.uk. This is a fascinating collection of interviews with the ‘bad boy’ of American crime fiction, conducted between 1984 to 2010. Born Lee Earle Ellroy in 1948, James Ellroy is one of the most critically acclaimed and controversial contemporary writers of crime and historical fiction. Ellroy’s complex narratives, which merge history and fiction, have pushed the boundaries of the crime fiction genre: American Tabloid, a revisionist look at the Kennedy era, was Time magazine’s Novel of the Year 1995, and his novels L.A. Confidential and The Black Dahlia were adapted into films. In Conversations with James Ellroy, Ellroy talks extensively about his life, his literary influences, his persona, and his attitudes towards politics and religion. In interviews with fellow crime writers Craig McDonald, David Peace, and others, including several previously unpublished interviews, Ellroy is at turns charismatic and eloquent, combative and enigmatic. My latest book is the anthology 100 American Crime Writers published by Palgrave Macmillan as part of their Crime Files series. It is available to buy on Amazon.com and Amazon.co.uk. ‘100 American Writers is a book that I think will appeal to a significant number of readers. The writers are discussed in short, snappy summaries by a range of writers, and the book doesn’t become bogged down by academic jargon […] For anyone seeking an introduction to American crime fiction, this book will make a very good choice.’ Martin Edwards, Do You Write Under Your Own Name? Arthur Conan Doyle, James Ellroy and Elizabeth Ruth. You can buy Cross-Cultural Connections in Crime Fiction on Amazon.com and Amazon.co.uk. I have written a chapter for the anthology Serial Crime Fiction titled ‘The Structure of the Whole: James Ellroy’s LA Quartet Series’. You can find more information on the book at Palgrave’s website. 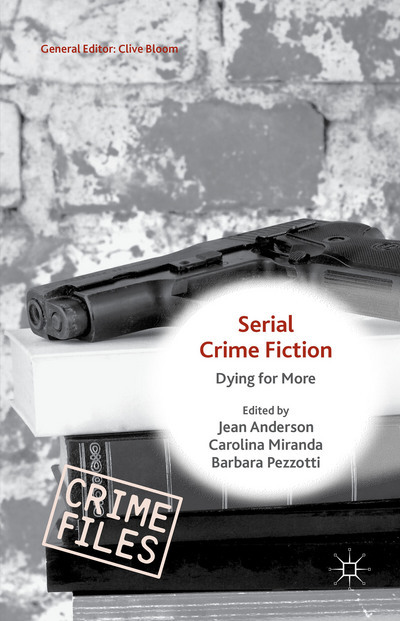 Serial Crime Fiction is the first book to focus explicitly on the complexities of crime fiction seriality. As a whole the book argues that, far from being limited and repetitive, serial crime fiction exploits a seemingly infinite variety of permutations to explore major social issues. Covering definitions and development of the serial form, implications of the setting, perceptions and marketing of the series, this book also offers lively and innovative readings of nineteenth- to twenty-first-century crime fiction from Argentina, Australia, France, Germany, Italy, Sweden, the UK, and the USA. Authors studied include Conan Doyle, Dorothy Sayers, Sara Paretsky, David Peace, James Ellroy, Maurice Leblanc, Lisa Marklund, Andrea Camilleri, and Jorge Luis Borges, across print, film and television. Hi Steve, will your “Demon Dog of Crime Fiction” (2015) book be released in paperback? I LOVED the “conversations” book! Taken together, all those Ellroy interviews practically comprise an alternate Ellroy book! Thanks so much! Hi Jason, thanks so much for your kind comment. Presently, there are no plans for a paperback edition but that might change depending on how well the book does. There is an e-book edition which is slightly cheaper. The issue of cost can be a real burden in academic publishing. You could try and get your library to order a copy.